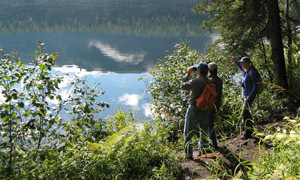 Looking for a day trip with experienced and responsible Alaskan guides? That's us! We don't just call ourselves "ecotourism." We walk the walk. 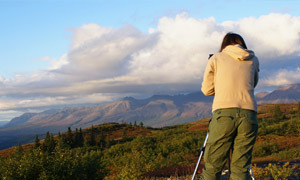 We are the area's only company with an Adventure Green Alaska ecotourism certification. We have proven our dedication to responsible tourism by meeting specific standards of economic, environmental, and social sustainability. We are proud sponsors of community conservation and education programs. Our naturalist guides use their experience to avoid disturbing wildlife, keep our guests safe, and help our guests to gain a better understanding of Alaska. We pay higher wages than other area guide businesses. We recycle and keep the trails completely free of litter. We work cooperatively with land management agencies to protect our public lands. By going with us, you help to protect the places you have come to see. Enjoying the short northern summers of Alaska as a second home to Northern Virginia, Toni started working for Alaska Nature Guides in 2010. 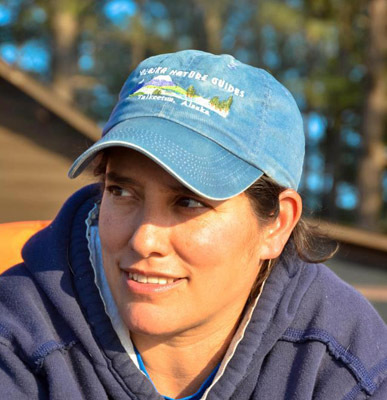 Like many who spend their summers in Alaska, Toni has an immense appreciation for the wilderness and everything that it has to offer and this passion translates into her guiding. When asked what her favorite thing about the 49th state is, Toni replied that she can't pick just one because there are so many beautiful and truly fascinating things to learn about and enjoy. That being said, one of her favorite memories from the land of the midnight sun is the time she was loudly sniffed by a grizzly bear along the Savage River in Denali National Park. Spending her winters as a freelance graphic designer, Toni's summers in Alaska offer her a chance to share with others the things about the state that she loves and ignite in each visitor their own unique passion for Alaska. 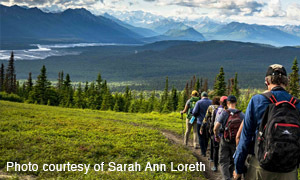 Having guided in both the Denali National and State Parks, Toni's knowledge of Alaska as well as her love for the state give her a natural gift for encouraging excitement. Dan's father was the local Scout Master when he was young and because of this he learned an appreciation for nature from an early age. Dan became an Eagle Scout and continued his love for the outdoors into his adulthood. He is an avid backpacker, trail runner and nordic skier. After more than two decades working with people with disabilities, he moved to Alaska with his wife so they could explore their dream of living more simply and closer to nature in a remote setting. Dan has a passion for learning to understand nature and how we all can live in harmony with it. 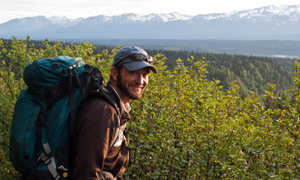 This is his fifth year guiding hikes for Alaska Nature Guides. He is currently a stay at home dad for his 7 year old son and works with people in the area with special-needs on a part time basis. Dan is active member of the Talkeetna community. 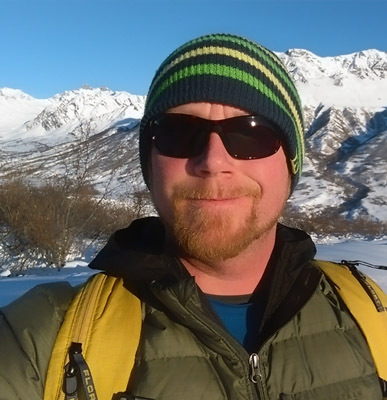 He sits on the Mat-Su Borough Parks, Recreation & Trails Advisory board, the Talkeetna Elementary PTA board and he produces a local radio show for KTNA radio called 'Get Outside and Play'. 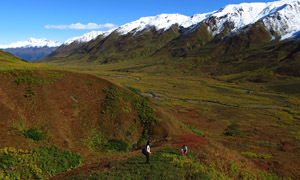 He is a strong advocate healthy, outdoor non-motorized recreation in the South Denali Area. Larry's adventurous lifestyle was born from an active childhood in rural Michigan where he enjoyed sports and thrived on outdoor activities. He received a Bachelor of Science degree in Parks and Recreation Administration and Health Education from Central Michigan University, and then was hired as a program director where he developed a wilderness program for at-risk boys. Larry's love for the outdoors was further kindled by the two National Outdoor Leadership School courses he completed in winter mountaineering, and a winter ascent of the Grand Teton. Larry came to Alaska in 1975, working for the Chugach National Forest as trail ranger and YCC youth coordinator. 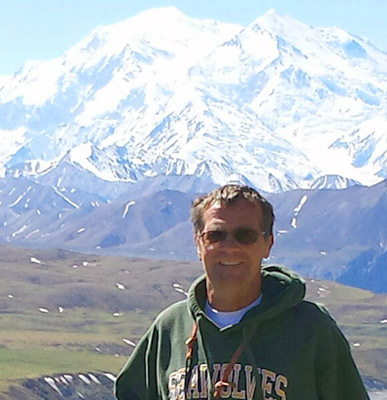 He has lived in Talkeetna since 1977, where he taught and coached in our local high school. 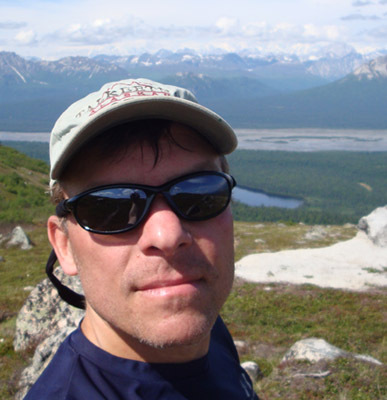 A few of Larry's favorite adventures include kayaking the Noatak River, a climb on Denali, skiing and climbing in the Ruth Glacier, photographing brown bear at McNeil river and exploring on skis, mountain bike or hiking boots, most of south centrals mountains, trails, and waterways. Larry's passions include birding, building fly rods, and fishing local rivers and lakes. As a long time Alaskan, Larry thoroughly enjoys sharing his experiences and knowledge of this land he loves, and conveying his enthusiasm and energy to our visitors. Shawn was born and raised in a small industrial town in Indiana. His love and curiosity for people, culture, and history eventually led him to the University of Southern Indiana; where he earned a degree in History and Anthropology. During his time in college, he fell in love with traveling while exploring and tracing his families' genealogy in Ireland. His experiences overseas led him to the many lakes, rivers, and streams of Northern Ontario, where he spent two summers guiding backcountry canoe trips for southwest the Boy Scouts of America. 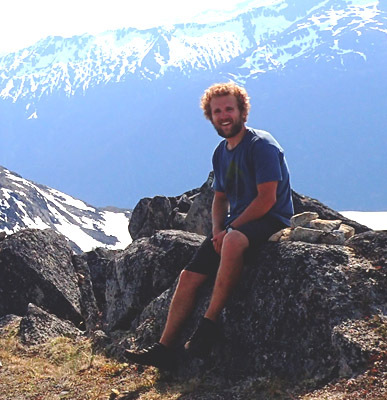 In 2015 Shawn moved to Southeast Alaska to work as a Bicycle Tour Guide in Skagway, where he quickly fell in love with Alaska. 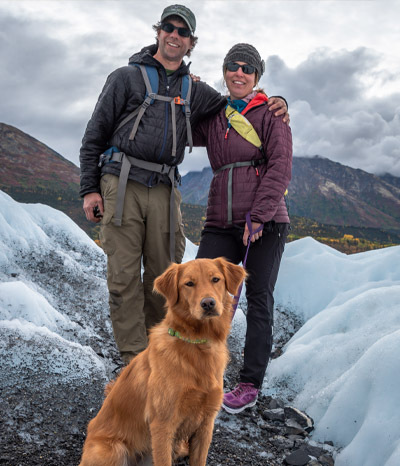 This will be Shawn's second summer working with ANG and is thrilled to explore and experience everything that the Interior and Southcentral Alaska have to offer. Shawn is very personable, outgoing, and prides himself on being an educator. He loves to make people laugh, and help them connect with the natural environment. He couldn't be more excited to be part of the staff and share his love and knowledge of Alaska with you! Annie was born and raised in Anchorage Alaska. After completing a bachelor's degree in Japanese from the University of Hawaii she joined the Peace Corps. She taught health education at a small village for two years in Kyrgyzstan and then worked for another 6 months to work with At-Risk Youth in the Philippines. Annie eventually returned home to Alaska and fell back in love with the Alaskan outdoors and mountains. She spends every spare moment in the Chugach Mountains surrounding Anchorage. 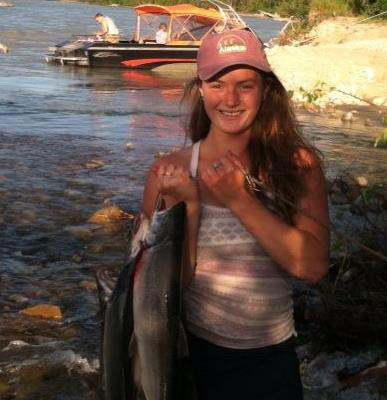 Annie enjoys camping, fishing, playing soccer and trail running. Before working asa Speech and Language Teaching Assistant in Anchorage, she worked withstudents with severe behavioral and special needs. Annie is currently pursing graduate school for occupational therapy and she is thrilled to spend her third summer with Alaska Nature Guides sharing her love and knowledge of Alaska with visitors. Growing up in a small town in Montana, Sophie has always had an infinite love for the outdoors. After graduating from high school she traveled to New Zealand to work as an Au Pair and returned to Montana a year later to pursue a degree in Environmental Studies with an emphasis on Early Childhood Education. After spending her summers canoeing in Northern Ontario she went in search of something new. 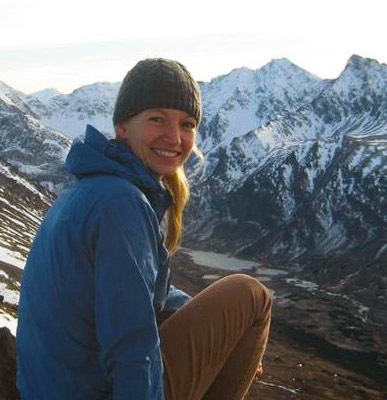 She found herself in Talkeetna working as a nanny and was fortunate enough to apply her passion for the outdoors and education with the Alaska Nature Guides. Sophie returned to Montana for a semester in the field focusing on Watershed Dynamics, Sustainability and Agriculture, Forest and Communities, and Biogeography. Her love for education has allowed her to work with small local farms as well as natural history programs throughout the schools in her local community. 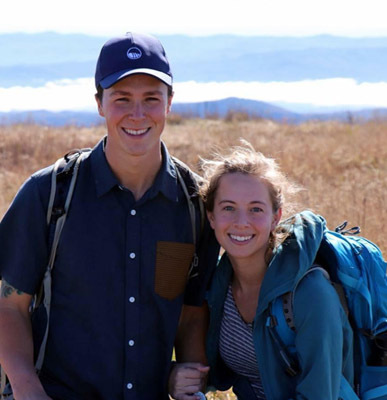 With a specific passion for place-based education Sophie finds herself spending her free-time backpacking, running, rock climbing and journaling wherever her next adventure leads her. My name is Josh Sandifer. A love for the outdoors has been ingrained in me since I was a child, and I love to backpack, rock climb, and trail run; I couldn't imagine working in any other field. I graduated with a Bachelor of Science in Outdoor Leadership where I worked on improving my hard skills like climbing, backpacking, paddling, and navigating; and polishing up my soft skills like communication, facilitation, and leadership. I am Wilderness First Responder certified, swift water rescue trained, CPR/First Aid/AED instructor certified, and lifeguard certified. I married my college girlfriend in June of 2017, and we just recently packed up our house and made the move from South Carolina to Alaska full time. We spent 11 days making the most beautiful drive across North America. I spent this last year working for a large luxury living community as their Outdoor Recreation Lead where I led hikes, designed outdoor programs, and showed the members the beautiful world around them. Alaska has so much to see and learn and is a place that fosters education. I love all the fine details of nature and getting the opportunity to share my love of plants, animals, and the beautiful state of Alaska with others in hopes they receive the same joy from it that I do. This will be my 3rd season working with Alaska Nature Guides. Bernard Federspiel was born and raised in Washington state, mere minutes from ski resorts, fishing, hiking, camping, and all things outdoors. Learning to be a good steward of the world was only part of the journey. A Masters in Ethics extended his understanding of life's meaning to a whole new level. Experiences and travel, near and far, ultimately landed him in Alaska. Whereby considering this to be the "greater, great northwest," since 2011, he has considered himself truly home. 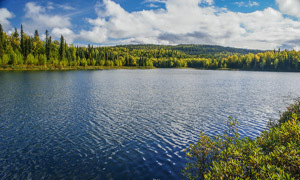 Having recently lived for an extended time in remote and off grid Alaska, including a wilderness lodge and a state historic site, has also broadened his respect for nature. With an excited passion to share in the explorations that draw anyone to this wild and amazing place, Bernard emphasizes helping others seek out their own new experiences.